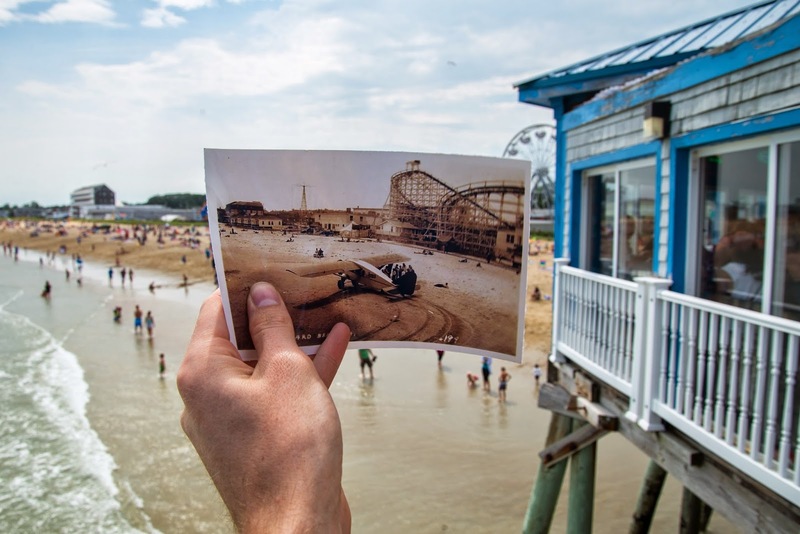 If you thought my photo from nearby Old Orchard Beach posted last week was interesting (how was the beach ever deserted enough for racing cars? ), here's another head-scratcher. The beach used to be used as a runway as well, as show in this photo from the 1920's via the Portland Maine History 1786-Present Facebook page. Famed aviator Charles Lindbergh even landed in town once.